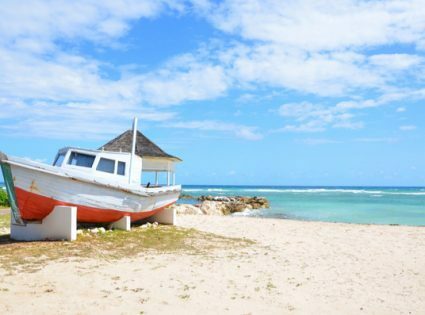 While no resort is far from the water in Jamaica, the resorts listed below are the best luxury, family, couples, and budget beachfront resorts found throughout the island. You will never be unsatisfied or bored at any resort in Jamaica! Half Moon is a sprawling 400-acre beachfront resort with 54 pools, a golf course, a spa, and an equestrian center. Half features a championship, 72-par Robert Trent Jones, Sr. golf course, 18-hole putting green, 13-lit tennis courts, a full range of water sports, an exclusive natural Dolphin Lagoon, six gourmet restaurants and over half a dozen informal snack bars, a world-class spa, and shopping village. 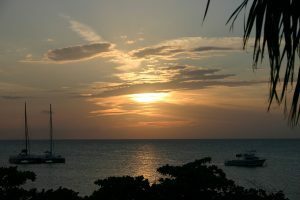 Sandals Negril Beach Resort is set on the longest stretch of Jamaica’s famed Seven Mile Beach. It has seven restaurants that offer exquisite cuisine ranging from the West Indies to the Far East. Incredibly tranquil waters lend themselves to all kinds of watersports, from swimming to snorkeling and kayaking. 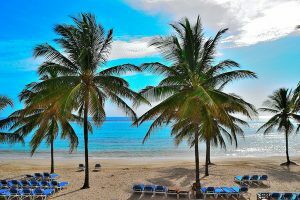 Located on 22 acres with 223 rooms and suites, Beaches Ocho Rios is perfect and affordable for singles, couples, and families, and caters to everyone’s needs. Overlooking the Caribbean Sea, the resort boasts beautiful facilities for children, while offering many dining options for everyone. The property has a bar, as well as a restaurant serving French cuisine. If you’re looking to escape the resort for a few hours, Dolphin Cove is two miles from the resort. Located on the limestone cliffs of Jamaica’s West End, the Caves offers a secluded oceanfront view of the Caribbean Sea. It has twelve exclusive cliffside accommodations, a Private Cave Dining, The Blackwell Rum Bar, and a sea view Aveda Amenity Spa. Guests will feel like they’re in a tropical castle at the Caves! Hyatt Ziva Rose Hall is located on a secluded beach with green mountains as your backdrop. It has 16 restaurants, bars, and lounges, as well as 24-hour in-suite dining. You can savor local flavors at Barefoot JerkZ, our beachfront Jamaican jerk shack. With 387 guest rooms and suites, each with a private balcony or terrace, five exceptional dining establishments, a championship golf course, and more, this Jamaica luxury resort is for everyone. 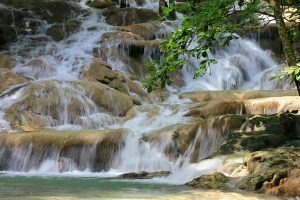 Located moments from Dunn’s River Falls, The Jewel Dunn’s River is the perfect spot for couples, honeymooners and idyllic weddings. 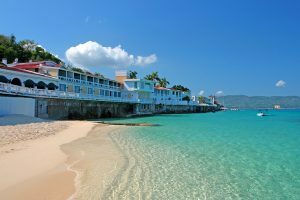 Multiple dining options at The Jewel Dunn’s River range from the most formal to the more casual like the Aquamarina Beach Bar & Grill, where even shoes are optional. A selection of bars includes two where you can remain within the pool while you sip cocktails and a magical Emerald Tree Lounge that lights up each night. For relaxation, the Radiant Spa features traditional massages, tanning and a variety of other treatments.